There have been many Chrome OS devices with touchscreens, but there haven't been pure tablets. You've always had an attached keyboard as a fallback -- until today, that is. Acer has unveiled the first Chrome OS tablet, the Chromebook Tab 10, and there's nary a keyboard to be found. The 9.7-inch slate is aimed at squarely at education, where the all-touch input and light weight (1.21 pounds) could make it a better fit for younger students. Appropriately, there's a bundled battery-free Wacom stylus that lets kids draw and take notes. The rest of the specs won't blow you away. There's a Chrome OS-oriented six-core, Rockchip-made OP1 processor, 4GB of RAM, 32GB of expandable storage, a 2-megapixel front camera and a 5-megapixel rear shooter. The most cutting-edge feature is a USB-C port that can charge other devices in addition to the tablet itself. Instead, the real allure is Chrome OS itself: it gives schools a secure, Google-centric tablet that runs Android apps and can be easily managed. Acer will ship the Chromebook Tab 10 to North America in April for $329, and to Europe, the Middle East and Africa in May for €329. Don't expect to buy one yourself, though. 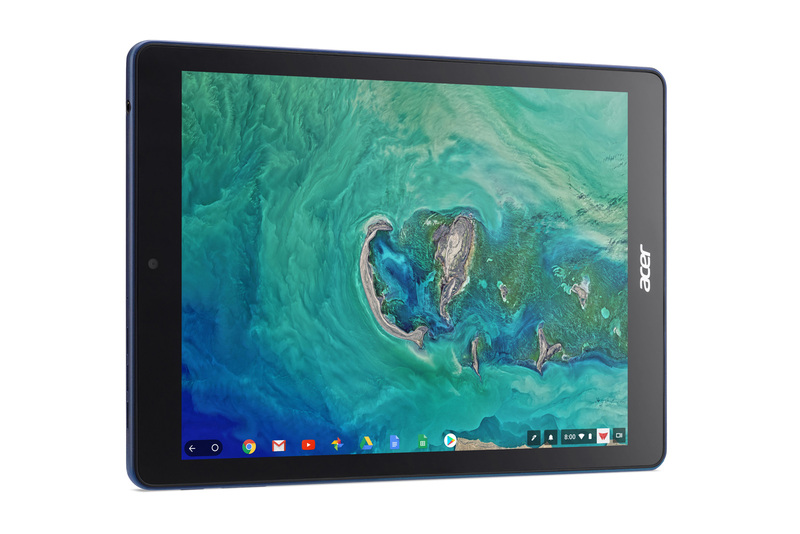 Acer is only making the tablet available to commercial and education customers For now, at least, this is more about competing for classroom share that would normally go to basic Android tablets or iPads.